Abu Dhabi, had been on my travelling radar for some time, a new up and coming Travelling destination that wants a slice of the tourism action just like its sister city Dubai. I was awaiting for the right opportunity to come along where I could blend in my visit with a stopover to not waste time. As Eithad airways are based here and plan to expand by offering affordable world wide flying opportunities, an Abu Dhabu stop over is becoming more and more appealing to visitors. Abu Dhabi still has a long way to go if you compare it to Dubai, but it’s getting there, with much construction and development taking place around the YES island and the airport, expect many new things to pop up over the coming years such as a new Guggenheim gallery to open in the close future. As I couldn’t find much information online, here I have put together a survival guide on what’s worth doing whilst on an Abu Dhabi stop over and how to make the most out of the airport. I hope you enjoy the read! The first thing you want to do after a long flight is grab a shower, you can find a free public shower in the 3rd terminal, its located around the boarding gates in the middle. You will need your own shower gel and towel, so make sure you pack this in your hand luggage. Its cleaned regularly and was perfect to refresh before exploring Abu Dhabi. In terminal 3 next to the check in desks you can find sleeper chairs that are reclined and fixed all the way back, if you fancy sleeping for a few hours at the airport this is a great option. Abu Dhabi has free wifi! This helps to kill a lot of time as the free wifi is all around the airport and easy to connect to. If you have checked bags you should have arranged that they will go onwards to your connecting flight so no need to take out your bag and check it in again. Check with the Connection flight desk that you have your new ticket and your bags are all set. If you want to store your hand luggage at the airport they have a service counter close to the exit area which charge a fee. Alternatively, if you exit the airport and you check in again, you could check it in for free if you won’t be using it for your next flight, but that’s up to you. No need to purchase bottled water too, as free water fountains can be located all around the airport and the city of Abu Dhabi, the water is freshly filtered from the sea and is safe to drink. 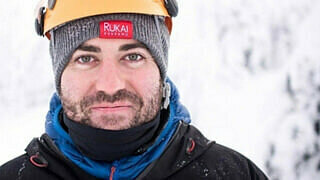 Visa needed for Abu Dhabi Stopover? British Passport holders can enter the UAE without having to pay for a visa, you can get a free stamp on arrival, which can be used during your Abu Dhabi stop over, so what do you have to lose? Just make sure you leave the airport when you are ready as you are not allowed to enter the airport until 4 hours prior to your onward flight. If you have more than 6 – 24 hours to spare, it’s possible to explore all of Abu Dhabi in a day without any need to pay for a hotel or stop off over for any longer. Maybe in the future Abu Dhabi will have more to offer but unless you’re not stopping, staying for a shopping holiday or catching the annual F1 competition here in Abu Dhabi, 24 hours will give you enough time. First check with airport staff close to passport control that you will have enough time to explore Abu Dhabi, they will look at your onwards flight ticket, you can tell them your plans and they will give you the OK if you will have enough time or not, don’t want to miss your connecting flight on your Abu Dhabi stop over. 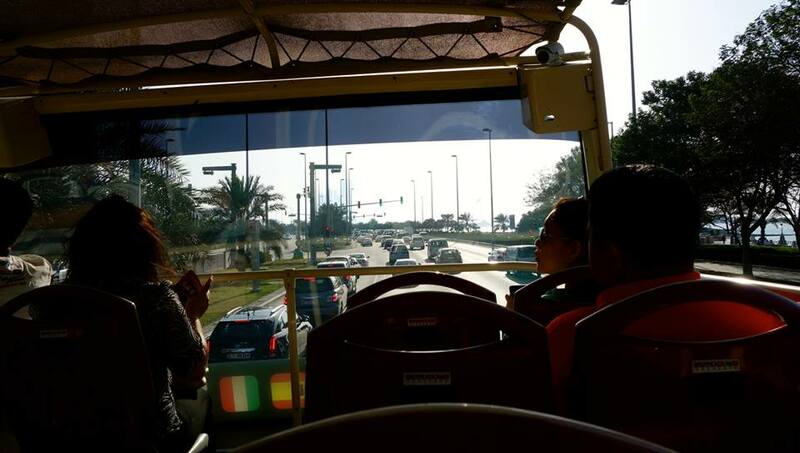 Big bus, Abu Dhabi is a hop on hop off bus service that operates around the main city attractions. From the airport you can grab a local bus or taxi to take you to the Sheikh Zayed Grand Mosque, which is close by the airport and one of the starting points for Big Bus Abu Dhabi. 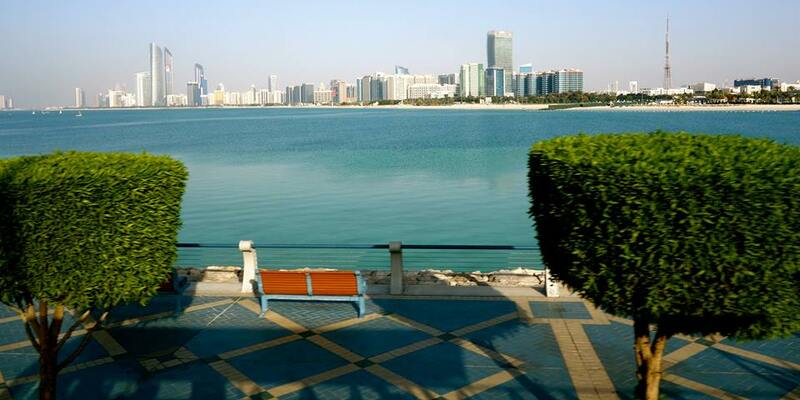 This can be handy if you want to get a lot done in a limited amount of time, simply sit back and let the bus do all the work, you will visit all the main attractions along the route and learn some interesting information about the city of Abu Dhabi. However, I found the ticket very expensive and would have preferred to have used individual taxi’s at each point which might have worked out cheaper, especially if I was in a group of 4. 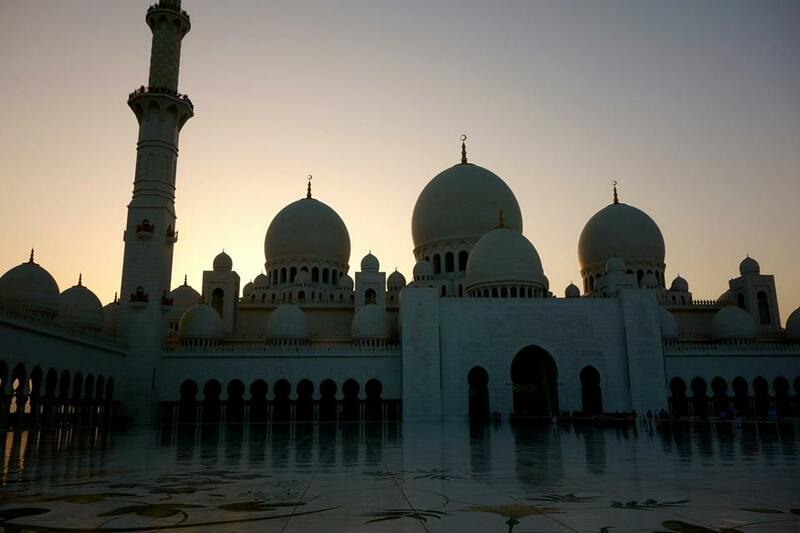 On a trip to Abu Dhabi you simply cannot miss visiting the Sheikh Zayed Grand Mosque, if fact, if you have a shorter Abu Dhabi stop over, say around 4 hours its still possible to visit this landmark as its located close to the airport and can be done on a quick taxi return. The Mosque is stunning and I’ve never seen anything quite like it, if you happen to be stopping off for 24 hours, you can visit twice, once at day light and again when the sun sets and the lights are turned on. Be sure to explore inside and remember to dress accordingly for your visit, if you don’t have the correct clothes you can borrow some for the duration of your visit, from the visiting center. 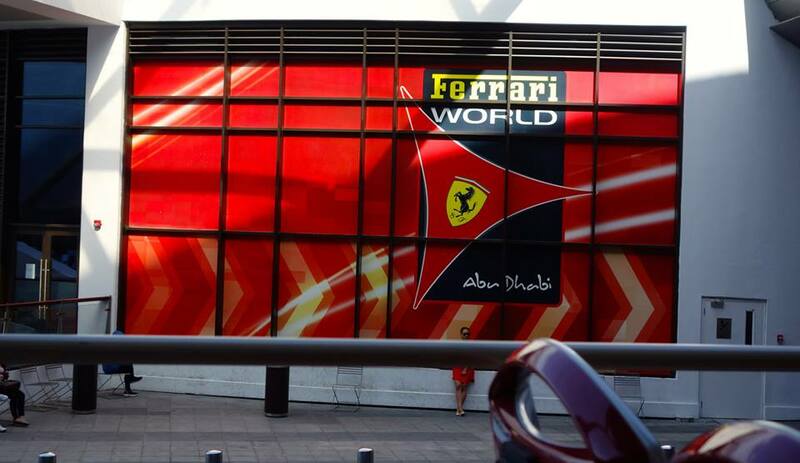 New to Abu Dhabi is Ferrari world, which contains a selection of indoor rides and the worlds fastest rollercoaster. Again, I found the entry cost expensive and I was not into Ferraris enough to justify getting a ticket. I Looked around the gift shop and the building looked impressive, but I wasn’t that too interested by it. YAS mall is new to Abu Dhabi and is located next to Ferrari world, many shops are yet to still be open, but you have enough choice to shop around and grab a bite to eat. 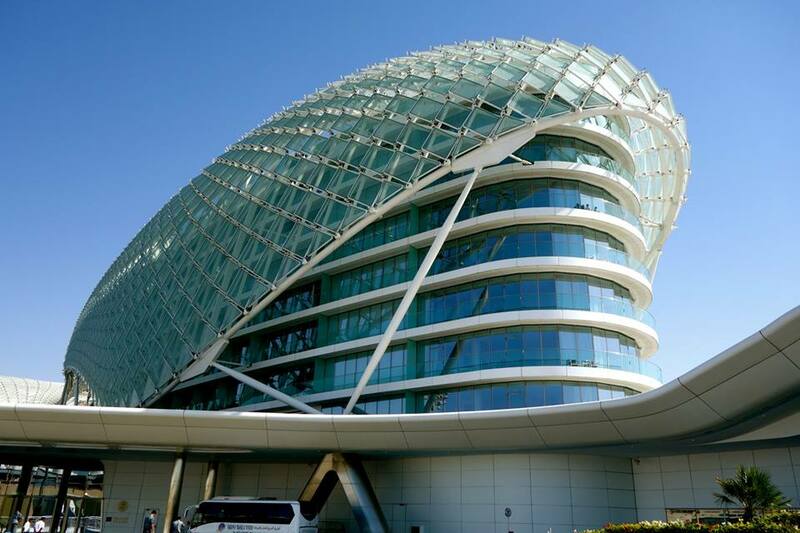 Out of all the shopping malls in Abu Dhabi that I visited this was my favorite and they have a nice selection of bar terraces on the top floor worth checking out. The first IKEA, located in the middle east can be found in Abu Dhabi, Its next to YAS mall and has affordable drinks and meals on offer if you’re on a budget. Travel tip: I was feeling a little tired from not sleeping well on my flight so I decided to rest my head on one of the show room beds for 2 hours, nobody bothered me and I was able to recharge my batteries to explore the city of Abu Dhabi again, of course after picking up a hot dog! Here you can explore and check out the famous Abu Dhabi, Yas F1 Marina circuit, you can walk around and get a good view of the track. The Iranian Souk is a network of small shops selling traditional items from handmade rugs to traditionally designed jewelry. It is the most authentic souk in the city and is great for killing time during an Abu Dhabi stop over. Dhows are traditionally found I Abu Dhabi and can be a fun and exciting way to see the city, you can get a free ticket with the Hop on hop off tour or try and locate a Dhow taxi that can shuffle you across to the other side of the city for cheap. My impression of Abu Dhabi? It still has a long way to go, the new airport is still under construction and can feel a bit unorganized at times. A lot of the attractions I wanted to check out are still to be constructed and have a long way to go. Abu Dhabi as a stopover destination is perfect, you can see and do a lot in a limited amount of time, would I stay any longer? No, I would get bored and was able to do everything happily within 24 hours. If you like eating and shopping then the city has plenty of that, but in terms of attractions I’m sure in future years as more starts to open up it will be far more interesting. The highlight for me was the Sheikh Zayed Grand Mosque, it’s truly stunning and good enough as a reason to get out of the airport which I highly recommend. Thank you for reading my blog post, if you have any more tips on things to do in Abu Dhabi please feel free to post in the comment section below, thank you.